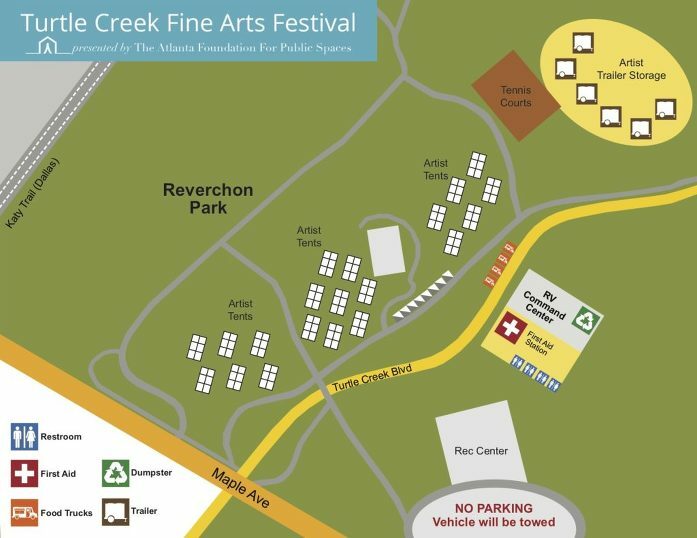 The Turtle Creek Fine Arts Festival is held in Dallas’s historic park, Reverchon Park. Parking: There is limited parking available inside Reverchon park at the ball field area and recreation center, additional parking at Scotish Rites Children hospital which is next door to the park at: 2222 Welborn Street, Dallas, TX 45219. With plenty of public parking in the surrounding area neighborhood. We encourage folks to walk and bike in off the Katy Trail which runs alongside the park. Come and enjoy the weekend.